The request arrives as privacy watchdogs across Europe plot their next steps due to use of Facebook user profiles in US presidential election scandal. 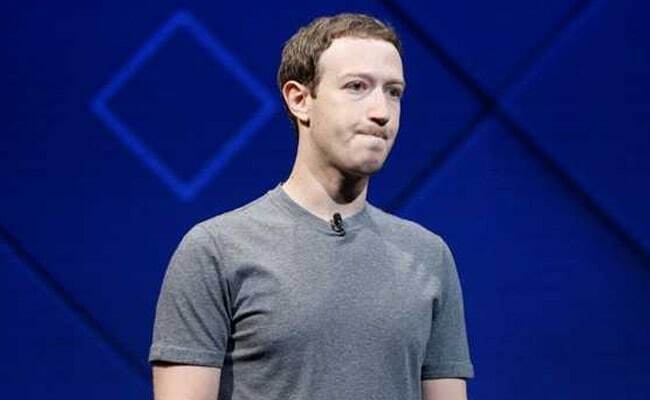 United Kingdom: U.K. lawmakers have requested Facebook Chief Executive Officer Mark Zuckerberg give evidence as part of an ongoing inquiry into how the world's largest social-media platform handles fake news. The formal request arrives as privacy watchdogs across Europe plot their next steps in the wake of a scandal over the British firm accused of harvesting Facebook user profiles in its work for Donald Trump's presidential campaign. British Conservative lawmaker Damian Collins, head of a committee investigating the impact of social media on recent elections, wrote to Zuckerberg Tuesday to request he answer for a "catastrophic failure of process" regarding the handling of user data. Separately, the EU Justice Commissioner Vera Jourova said she also plans to meet with Facebook during a visit in the U.S. this week and seek answers to claims that Cambridge Analytica kept information on tens of millions of the social network giant's users. "From a European Union perspective, the misuse for political purposes of personal data belonging to Facebook users if confirmed is not acceptable," the EU said in a statement sent late on Monday. U.K. Information Commissioner Elizabeth Denham said she's in the process of obtaining a warrant to search Cambridge Analytica, the firm at the center of the scandal. Meanwhile, a panel of data privacy authorities from the 28-nation EU are expected to discuss the issue at a meeting in Brussels Tuesday. Cambridge Analytica failed to respond to an access request by the U.K. Information Commissioner's Office, forcing the authority to seek a warrant "to obtain information and access to systems and evidence," it said in a statement on Tuesday. At issue is information on millions of Facebook users that Cambridge Analytica obtained from a researcher who shared the data without Facebook's permission. According to published news reports, Cambridge University researcher Aleksandr Kogan created a personality-analysis app that was used by 270,000 Facebook users, who in turn gave the app permission to access data on themselves and their friends, ultimately exposing a network of 50 million. Cambridge Analytica said in a statement that it's been in touch with ICO since last year about various aspects of its activities. The firm said it remains "committed to helping the ICO and all other concerned organizations in their investigations and audits." Concerning Facebook data, the firm said it "offered to share with the ICO all the information that it asked for and for the ICO to attend our office voluntarily, subject to our agreeing the scope of the inspection." In an earlier statement Cambridge Analytica said it "strongly" denied "false allegations" in the media and said that the Facebook data at the center of the scandal wasn't used as part of services provided to the Trump campaign. Facebook has enlisted the firm Stroz Friedberg to assess advertising-data provider Cambridge Analytica, whose handling of Facebook user data has mired the social networking company in controversy. "On March 19, Facebook announced that it will stand down its search of Cambridge Analytica premises at the Information Commissioner's request," the ICO said in the statement. "Such a search would potentially compromise a regulatory investigation." Facebook said in a blog post on the issue that it was "moving aggressively to determine the accuracy of these claims. We remain committed to vigorously enforcing our policies to protect people's information." Speaking to BBC Radio 4 on Tuesday, Denham said that the ICO was "concerned about the integrity of our investigation. We are also looking at Facebook at the same time. Our advice to Facebook was 'back away.'" She told Channel 4 News earlier that the agency was seeking a warrant. Kogan and Cambridge Analytica had agreed to be audited by Stroz Friedberg to determine whether the data company still has the disputed information.